It is estimated that 1 in 20 people will develop colon cancer within their lifetime. The risks are slightly higher in men than women but anyone can indeed get colon cancer. The good news is that there is more evidence showing diet may be able to help prevent it. In 2006, we reported that a study from the University of Minnesota showed that those who consumed more magnesium in their diet had a 25% lower risk of developing colon cancer than those who ate less magnesium. Recently, a Yale University study published that stage 3 colon cancer patients who regularly ate nuts are at significantly lower risks of cancer recurrence and mortality than those who do not eat nuts. This 2018 Yale study followed 826 participants for 6.5 years after they were treated with surgery and chemotherapy. In summary, researchers found that patients who consumed at least two, one-ounce servings of nuts each week showed an improved post-cancer survival rate. Interestingly, the Yale researchers also found that survivors with the best results ate tree nuts. Tree nuts include almonds, walnuts, hazelnuts, cashews, pecans, among others. Be aware that peanuts are actually a legume and not a nut at all! 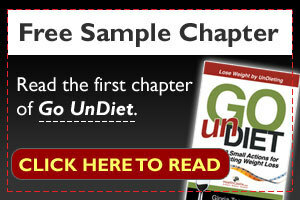 We know that diet may affect many cancers and colon cancer is no exception. Eating a healthy diet that includes many colourful fruits and veggies is a must and avoid eating processed meat (luncheon, sausage, ham etc…) are the most effective ways to fight off colon cancer. In addition to nuts being able to prevent the recurrence of colon cancer, researchers have also found that coffee consumption may also reduce the chance of cancer recurrence. In fact, a large study in 2016 looked at over 5,000 patients with colon cancer and 4,000 men and women with no history of colorectal cancer found that participants who drank 1-2 cups of coffee a day saw a 25% lower chance in developing colorectal cancer. The most interesting thing researchers found was that regardless of the type of coffee you prefer, whether it be espresso, instant, decaffeinated or filtered coffee, the benefit was the same. So for a double dose of prevention, enjoy some nuts and coffee everyday! There is also some evidence that colon cancer is related to insulin resistance so a good strategy is to reduce body fat percentage. Dieting may not always lead to body fat loss so instead, try adding a regular exercise routine and eating a diet with more wholesome, unprocessed foods. Moreover, cut down the intake of sugar and other high glycemic index foods helps control blood sugar and balance insulin production.